The need to weigh and sort large, heavy products is becoming increasingly more frequent in modern logistics spheres. 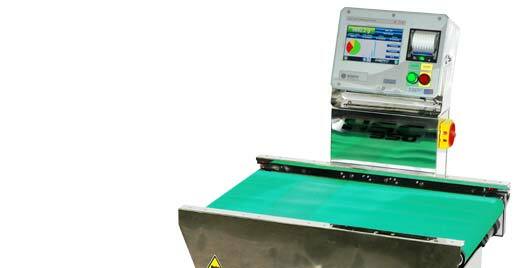 The HSC350 “H” series checkweighers provide an answer to this requirement since they are able to handle and weigh loads of up to 60 kg at high speed. 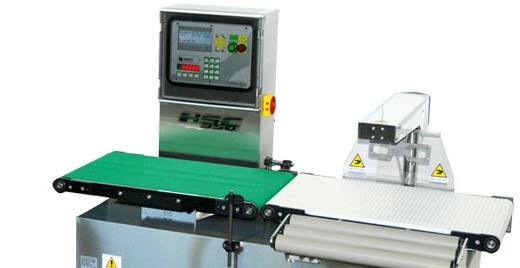 Available in numerous configuration, from 1 to 4 conveyors with width from 230 to 800 mm. 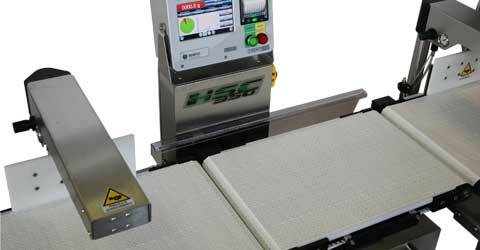 Serie H checkweigher with IP65 protection. Configuration with intralox outfeed conveyor and without spacing conveyor belt.